Travel to Exeter, Massachusetts, where old grudges, buried secrets and lifetime regrets haunt the residents of this small town – and sometimes trip up unwary newcomers. In Bones of the Past, Ellie learns some old secrets lurking underneath the small town peace. Step back 10 years in Thrown Out as Chris must decide if he’ll let old scars come between him and what he’s building with Dan. F.X. O’Leary can see something is very wrong with his grandchildren, but he must enlist Riordan’s help for an End Run when his son Joe won’t let him help. Finally, in the 40 years they’ve known each other, Becca and Riordan have perfected this Intricate Dance between them. Jennie Coughlin has created a town which seems real enough to perhaps be the one next to your own. 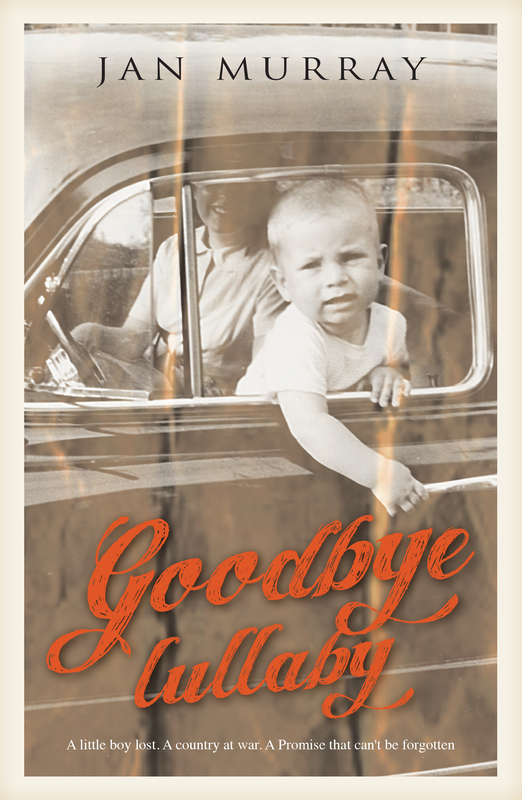 This small book spans a few decades with its four short stories. It’s about everyday life for the people of Exeter, complete with problems, trivial and large. I felt like I was looking at the town through a window, getting a little glimpse at the goings on and getting to know the characters. It was like being given a sneak peak at what was to come – which is good because I have heard there are more stories about Exeter in the works. Can I pick a favourite? Nope, I can’t. Even though they are four short stories it still seemed like more of a whole to me than four parts, they interwove and it was great. It gave me the feeling that I had known the town for more than just the ‘time at the moment’. 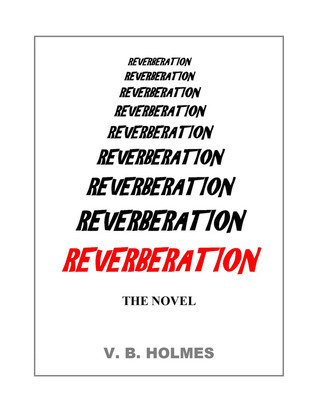 An easy to read pocketsize book with engaging characters and good storylines. I must say thank you to Jennie for providing me with a copy of her book – thanks, Jennie! What do you do when your once charmed life falls to pieces? Karsen Woods’ life seems charmed from her hunkalicious boyfriend to her picture-perfect midwestern roots. Away at college, even the necklace she wears serves as a constant connection home – a family tradition created when her grandfather handmade each immediate relative an interlinking charm. Each piece crafted in the shape of a puzzle piece, each one interlinking perfectly together. 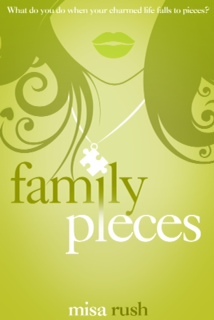 But when the unexpected death of her mother turns her world upside down, she discovers there is a missing piece of her treasured family tradition and her life as she once knew it may never be the same. Addison Reynolds resides in her posh Manhattan condominium and wraps her personal identity around running Urbane, the magazine empire built by her father. In a moment of haste, Addison divulges her deepest secret to her closest friend Emily – a secret she never intended to disclose. Could one choice, one secret, bond two unlikely women forever? On 22 December 1943 the Susan Rae, an American B17 Flying Fortress, is lost. The aircraft is reported to have crashed into the English Channel. There are no survivors and no bodies are recovered. Records of the incident mysteriously go missing. The Susan Rae and its crew vanish, committed to the dustbin of history. On the day the Susan Rae disappears, the English village of Lower Friththingden is the scene of several remarkable events. Two Rolls-Royces are seen parked near the village church. The entourage has paused to listen to the sound of the village children’s choir. Overhead a German parachute mine floats down, heading directly toward the church. Inside are most of the village inhabitants, including a young girl rumored to be the illegitimate child of Winston Churchill. More than a half-century later two men, an embittered American and a reclusive Englishman, have their lives altered as a consequence of the disappearance of the Susan Rae. Vince Collesano, ill, depressed, and alone, travels to England to satisfy his wife’s final request. 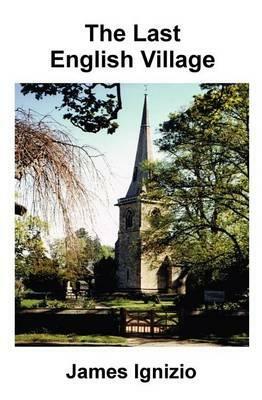 Seconds before her death she had pointed to a painting of an English churchyard and asked to have her ashes buried there – in the country where she had been born and raised. Unfortunately, Vince has no idea as to just where in England that particular churchyard is located. The promise cannot be kept without the help of his late wife’s cousin, Albert “Bertie” Ambrose, a sad little man who hasn’t ventured outside of London for more than thirty years. Despite Vince’s intense dislike of Bertie, and all things English, the pair team up for what Vince believes to be a search for his wife’s final resting place. Given an ample supply of Marmite, they just may succeed. Craig Page, the bold and daring EU Director of Counterterrorism, becomes the focal point of an effort to stop the feared terrorist Ahmed Sadi, whose goal is to provoke a Muslim uprising in Western Europe. Ahmed, a Muslim fanatic born in Paris to parents who emigrated from Algeria, calls himself Musa Ben Abdil, after a Muslim hero from the Fifteenth Century War with Spain. Page teams up once again the resourceful Elizabeth Crowder, a newspaper reporter who has also become his lover. Ahmed’s plans become far more menacing when he is joined by Chinese General Zhou, who had been exiled to France for his devious actions in The Spanish Revenge. With Zhou’s assistance, Ahmed’s plan is to launch a horrific attack on the heart of Christianity. At the same time, Ahmed wants to retake militarily for Islam a portion of Southern Spain. He relies upon a medieval parchment he claims to have uncovered, in which Queen Isabella on her death bed in 1504 ceded a portion of Southern Spain to the Muslims in perpetuity. His one main obstacle: Page himself is hot on his trail, determined as ever to save the world from a master criminal. 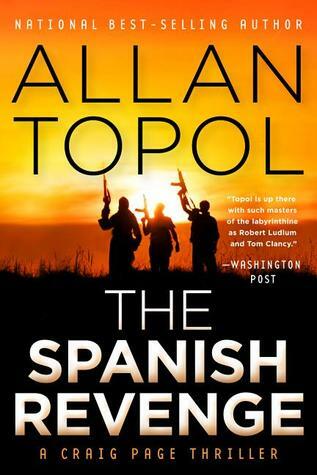 From Spain to Morocco, and beyond to Italy, Page and General Zhou renew their battle, even as Ahmed plots his deadly revenge. B.L. Brown is the CEO and Founder of Halo-Orangees, LLC and the P-S-T (Parent-Student-Teacher) brand. She is a strong, proud African-American divorcee that is fortunate to parent five amazing children who are unique in every way. 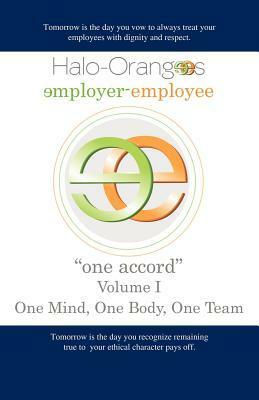 The genesis of Halo-Orangees, LLC Brand: Helping Advocate Longevity of Organizations by Obtaining Objectives through Redefining Above-Board New Generational Guidelines for Employer Employee Standards was inspired, developed, and birthed from her reaction to an unethical manager with whom she had the pleasure of working for and whose style of supervision made her stronger. The vision for Halo-Orangees’ Parent-Student-Teacher Brand is to empower all children to be self-defined rather than “people” defined, self-directed, and self-driven. The P-S-T brand embodies the message that all children have a purpose and can rise above any situation and/or circumstance as long as they remain true to themselves. In a one-on-one meeting with this executive director, he made the statement that another employee, who held the same title as B.L. Brown, was better than she was. In response, B.L. Brown informed him that this employee was not better than her nor was she better than the employee. From that one statement, she instantly realized her true purpose in life. Reckoning her experience with a newfound belief, the foundation of Halo-Orangees, LLC emerged. The first and most important reason for creating Halo-Orangees, LLC is to empower all human beings. This book embodies the message that all human beings have a purpose and can rise above any situation or circumstance as long as they remain ethically true to themselves. Halo-Orangees’ goal is to change the environment of employment for all human beings that fosters a system that demands that they be treated with dignity and respect in the workplace. The mission of the P-S-T brand is to eliminate the ever-growing educational viruses of gang involvement, drugs, bullying, suicide and immobility that our students are facing daily. In addition, this book will challenge humans, who work in complex working conditions to grow mentally and spiritually. 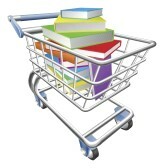 Oops – I did it again – a little more book buying! And I bought The Lost Symbol by Dan Brown – which I already have – oops! I really could have walked away with five times the amount of books but I had to stop myself, you know, practice some self-restraint. One of the ladies running the sale mentioned they have a few a year and would I like to go on their mailing list – well, I wrote my email address down just as quick as I could because I definitely want to visit when the next sale happens, which should be in February which is also my birthday month – coincidence – I think not! Suddenly, staying alive just got a lot harder. Katie Robison’s Downburst was just what I needed. I was in a bit of a reading slump, reading a few books at the same time but nothing really grabbing my attention. I wanted to read a book which whispered to me, ‘Go on, read some more, you know you want to, don’t put me to bed yet.’ So the search was on, which book should I pick up next? I actually thought my odds of choosing the ‘right’ book quite slim so I didn’t have high expectations. I read a few reviews for a few books waiting on my shelves and after reading some good reviews for Downburst I decided to give it a try. Boy did I pick the right book!! 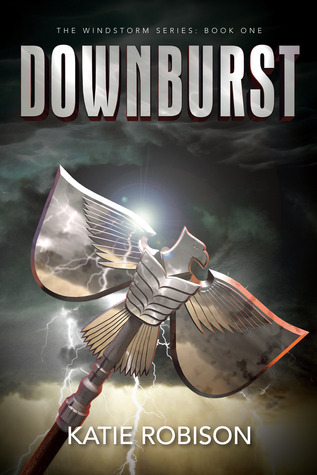 Downburst is Katie Robison’s debut YA novel and it is set to be a great series – The Windstorm Series. I completely agree with many others who have said this series will rival The Hunger Games. Now, I need to be careful not to give too much away here. I can say that although the blurb sounds quite exciting enough in itself it most certainly does not even come close to illustrating just what this book is about……..oh, the last line is pretty good! You will be surprised, just know that. Katie Robison has obviously given thought to how she was going to present the world in Downburst as the details are such that it makes this make-believe fiction setting seem real. I certainly could picture in my mind the environment/setting for the story, the descriptions were more than sufficient to open up that creative part of my brain and conjure up a picture that fit. The characters were an interesting bunch but I know we’ve just scratched the surface with some of them; hopefully there will be more to come in the following books. I did like seeing snapshots from Kit’s past and of course can’t wait to see an even bigger picture for the future! The storyline was great, started off with a bang and ended with a………well let’s just say it ended leaving a definite want for more! Right from the start I didn’t want to put this book down and that continued all the way through and when I did happen upon that last page I still didn’t want to put it down! Unfortunately, try as I might, I couldn’t conjure up even just another 100 pages, let alone the 300 I really wanted. I just love when a book leaves you feeling like that! Well done, Katie Robison! Fantastic start to the series! Loved the ending of the first book! Can’t wait to see what will happen next! Many thanks to Katie Robison for providing me with a copy of Downburst – thank you, Katie! Two Wonderful Days at a Book Sale! It has been over a month and I still think of the lovely two outings I had back in August. Here is what I had prepared from last month but unfortunately did not post earlier. I think it’s still as exciting and reading through the below lists reminds me of all of the wonderful new babies I adopted. I must share, had the best lunch break today!! Me and a couple of other gals from the office went over to the University of WA as they have their annual Save the Children Book Sale. Today was half price day and tomorrow is the last day; fill a box for $15 – we might have to revisit! If we don’t make it back I’m still super happy with all of the books I got today – 13 books for $23.50, rounded up to $24! It’s been soooooooooooooooooo long since I had a splurge and my goodness, IT FEELS SO GOOD!!! So, of course I couldn’t keep away, we went back today!! I got all of the below, 22 books, for $15!! The first two were for work colleagues and the rest are all for me, yippee!!!! As you can see, sometimes it’s just hard to keep me away from buying books when I’m on a role. Seriously, I have come a long way; I don’t always walk out of a shopping centre having bought a book. A few years back it was like I was addicted to buying books and nearly every time I was around them I would buy one, two, maybe ten! The thing is, there are so many great books to be read and a lot of them are sitting on my bookshelves at home screaming at me for some attention. I made a conscious decision to curb my book buying shenanigans – hence why I was so excited about being let out for a couple of expeditions last month! And now, oh dear, the South of the River Branch is having its annual book sale commencing this Monday, which just so happens to be a public holiday. I have plenty of things planned for the weekend so I highly doubt I’ll get along to it but Thursday is half-price day or fill a box for $10 and it is open until 6pm and if I left work on time I could probably spend an hour or so there before they kicked me out. Hm, should I or shouldn’t I? Of course I should but I won’t. I make this promise now and I make it because I mustn’t get carried away, even though it is for a good cause. I will look forward to next year’s sale instead! New Arrivals – that would be two new arrivals again! Oh wow, what a great few days it has been, new arrivals left, right and centre, I am one lucky gal! 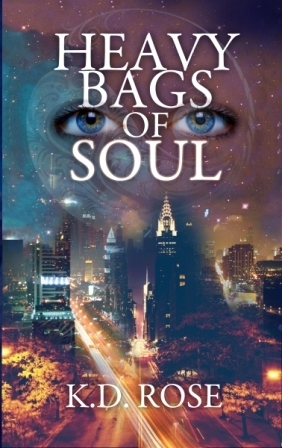 The latest two to arrive at their new home are Heavy Bags of Soul by K.D. 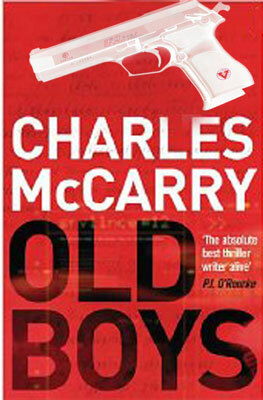 Rose and Old Boys by Charles McCarry. So, once again, two thank yous must go out at the same time – thank you, K.D., for a copy of your work and thank you, Katherine, of Duckworth Publishers for a copy of Charles McCarry’s work – thank you! It is half past dark and we are in a graveyard orbit. Travelers have lost their way. Mankind is hard of hearing. We have abandoned insight and revelation for commerce and merry-go-rounds of distraction. But wonder is still in the palm of our hand. Wisdom is everywhere when we pay attention. We hold the key to orchards in camouflage and we are charged with the task of taking vision and making it into reality – beyond anything that exists and beyond what others say can be done. Learning this is an absolute requirement to our survival. Retired master spy Paul Christopher goes missing a day after a family dinner. Months later a Chinese official delivers his ashes to the American consulate in Beijing, and a memorial service is held in Washington. But the Old Boys of the CIA are not convinced that their ex-colleague is dead and embark upon a thrilling search that takes them from Xinjiang to Brazil, from Rome to Moscow and a secret more dangerous than any of them expected.